SACRAMENTO, Calif. /California Newswire/ — The Calif. Assembly Committee on Human Services yesterday approved SB 792 authored by Senator Tony Mendoza (D-Artesia) on a bipartisan vote of 15 to 2. The bill will protect California children in day care from contracting serious diseases by requiring family day care home and day care center workers to be vaccinated against measles, pertussis, and influenza. The bill now goes to the Assembly Appropriations Committee for consideration. “One child’s death is one too many, especially when it may be preventable. 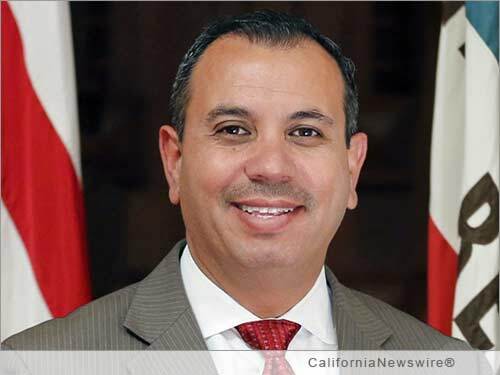 With the recent deadly outbreaks of measles and influenza, we must do everything in our power to protect California’s children who spend time in day care,” said Senator Tony Mendoza. “SB 792 will require all day care center and day care home personnel to be vaccinated. This is not just a common sense solution, but makes scientific sense,” added Senator Mendoza. SB 792 protects young, vulnerable children by requiring pre-school and day care workers to be immunized against influenza, pertussis, and measles. Currently, there are no immunization requirements for day care workers.